« Amazon link back up. It took some time to set everything in order, but at long last, a taste of what is in store for those who wanted to see the fruits of my Super Special Super Secret Project. 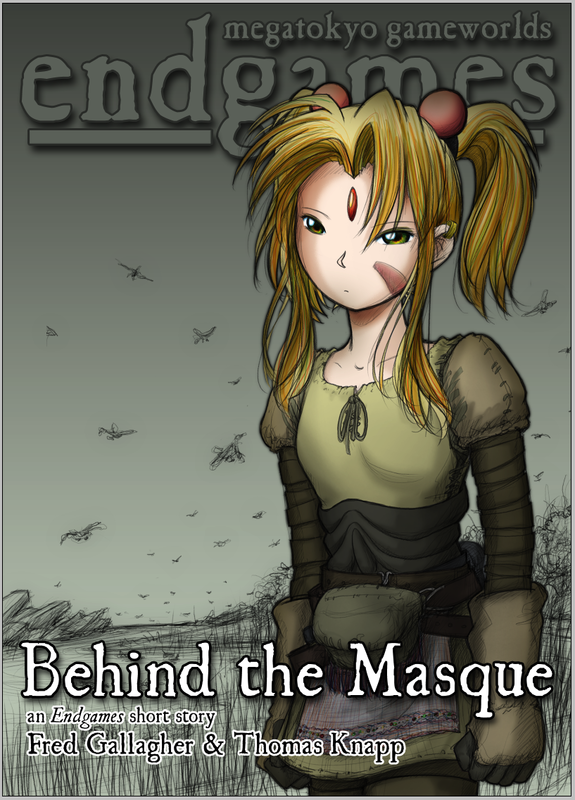 The Kindle Store now carries “Behind the Masque” a short story set in the Endgames world that will allow readers to dip their toes in and decide if they want to see more. If anything, Fred Gallagher’s artwork is worth the $0.99 by itself. Follow this link here if you want to learn more and make your purchase. This entry was posted on June 10, 2011 at 9:58 pm and is filed under Updates. You can follow any responses to this entry through the RSS 2.0 feed. You can skip to the end and leave a response. Pinging is currently not allowed. I’m not sure why, but that brightened up my day.